These are dark days for Scientology, as L. Ron Hubbard’s controversial church/cult/business takes one massive hit after another. 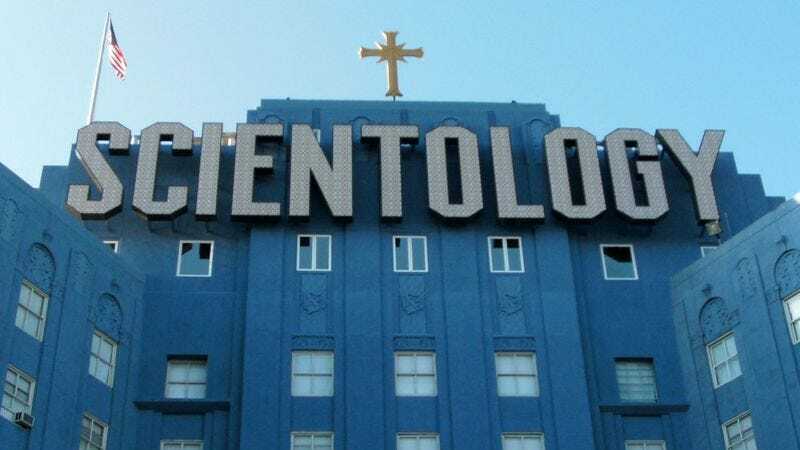 The famously litigious sect’s notorious veil of secrecy is steadily lifting as a series of high-profile ex-Scientologists have publicly come out against the organization. There's Academy Award winner Paul Haggis, whose defection inspired a 2011 New Yorker article by Lawrence Wright, who is also behind the expose Going Clear: Scientology, Hollywood, And The Prison Of Belief, which will be released on Thursday; and Jenna Miscavige Hill, the ex-wife of Scientology leader David Miscavige, who will be releasing her own Scientology tell-all next month in Beyond Belief: My Secret Life Inside Scientology And My Harrowing Escape (which we’re guessing from the title is not overly positive). Now Buzzfeed has released a fascinating expose on Scientology’s seeming implosion. The article centers on the controversial construction of “Ideal Org” buildings, extravagant and expensive Scientology worship centers that are financed by massive donations. In an exhaustively researched piece, Alex Klein argues that these Ideal Org buildings serve dual purposes: Though the number of Scientologists internationally and nationally is shrinking rapidly, due in no small part to the hurricane of bad press the church has received as of late, the constant building of expensive new Scientology buildings creates the illusion of growth and robustness among the faithful and the general public. And these buildings have been a massive cash cow for the perpetually cash-hungry organization because they glean untold millions of dollars in contributions from the faithful, only a small percentage of which actually seems to be devoted to building them. The article posits these buildings as elegant metaphors for the state of Scientology: gaudy and glitzy on the outside but empty and hollow on the inside. Buzzfeed follows the numbers on the donations and discovers, not surprisingly, that they don’t add up. Nailing Scientology on something like real estate fraud is a little like busting Al Capone for tax evasion, but if a lengthy article about fraudulent fundraising practices sounds dry and tedious, it reads like a gripping legal thriller. These might be dark days for Scientologists, but it is a Golden Age for the sizable segment of the populace that derives exquisite schadenfreude out of its never-ending public foibles. If you have a few spare hours, it’s very much worth your time.